Originally founded by vocalist and rhythm guitarist, Michael Alexander, and drummer, Paul Zander, Madison’s SAND has been kicking around in various forms since 2003. With a regular regional touring schedule and a consistent sound that’s a solid mix of the theatrics of arena rock, driving modern guitars, and the earnestness of the best of country music, they’ve solidified their lineup with bassist Wade Radtke and new guitarist Dain Di Mattia, and have become a fixture of the scene over the past decade. Their latest EP was released this year on Halloween. 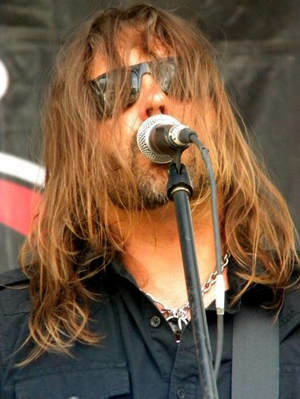 Entitled “Load Your Guns”, it’s three songs recorded and engineered by Jeff Tomei, whose resume includes everyone from MATCHBOX TWENTY to SMASHING PUMPKINS to JERRY CANTRELL.